As a plastic surgeon, I specialize in microsurgery and cancer reconstruction, including breast, extremity and head and neck reconstruction. Through my research, I try to understand and improve how patients and their providers make decisions about cancer surgery, with a specific focus on breast cancer patients. I decided to become a plastic surgeon because I really enjoy putting things back together and the challenges that come with that. As a plastic surgeon, I often have the opportunity to work with other surgeons. I’m able to be a “go-to” surgeon for other specialties when difficult problems arise, and I love that role. I believe that compassion is the most important part of patient care and I make a point of developing my compassion a little more each day. 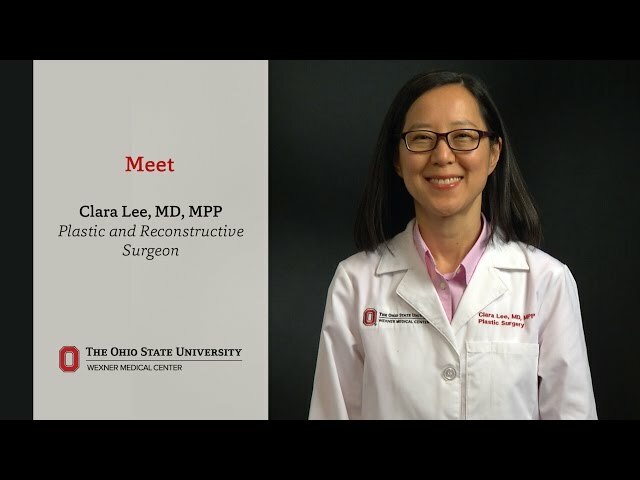 I decided to come to Ohio State because I felt that it was an environment where I could do the most to benefit patients. I love being able to work with a fantastic team and truly enjoy meeting my amazing patients as well as their friends and family. I learn a great deal from my patients, particularly when it comes to resilience and courage.